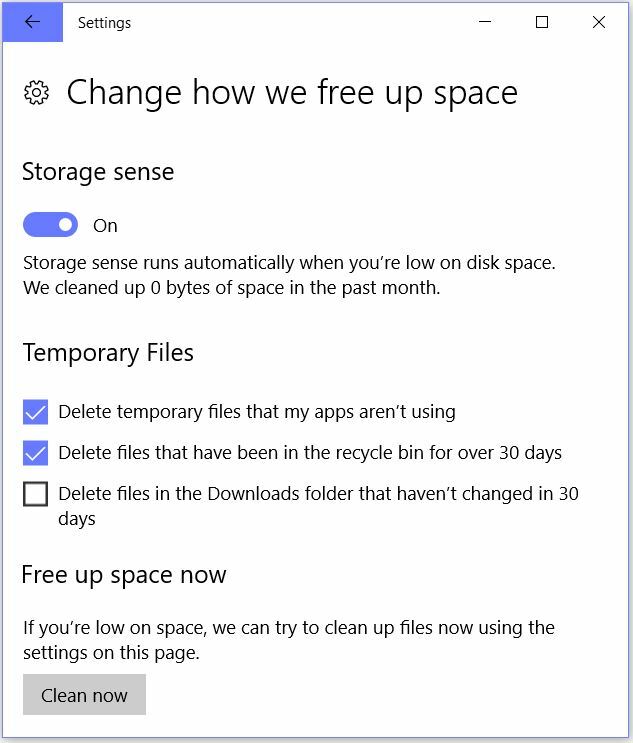 You must turn Storage Sense on for this to work, and force the clean-up by clicking the “Clean now” button at bottom. Only the first two are checked by default, but you can grab some disk space back by clicking the third checkbox, too. I just ran it on a few systems to check it out. It reclaimed anywhere from 179 MB to as much as 24.9 GB on a system I upgraded yesterday to Insider Preview Build 17063. Note the additional information that shows up about the clean-up in that Redstone 4 code base. This may become generally available after MS releases the Spring update. 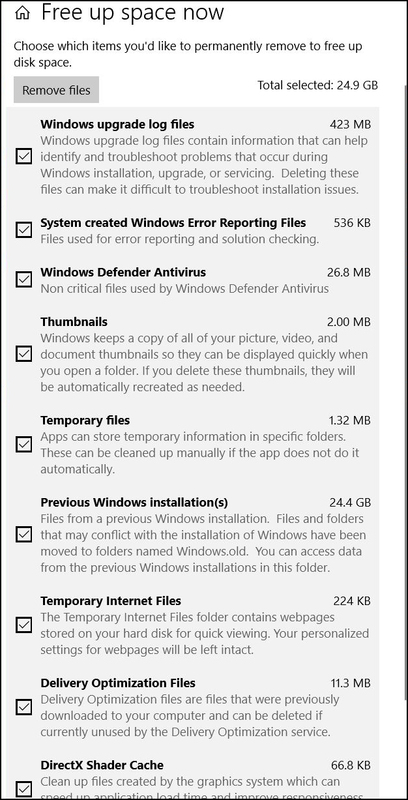 Notice that it skips empty items (unlike Disk Cleanup) and shows only items from which space may be reclaimed. As far as I can tell, though, this is just another way to do what Disk Cleanup already did. Does this spell immanent retirement for Disk Cleanup? Could be! Thanks and happy holidays to Sergey Tkachenko, whose recent article “How to Free Up Drive Space in Windows 10” alerted me to this feature. He’s something of a Windows space hound, too!